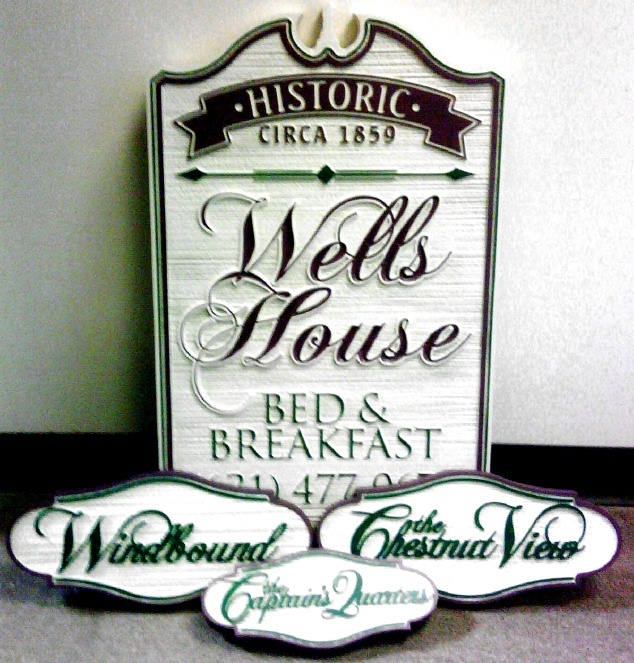 These carved and sandblasted HDU entrance and room name signs for the historic Wells House Bed & Breakfast have raised script-style lettering and a sandblasted wood grain background. The text in the top banner us engraved. This sign can be easily mounted on an outside wall or placed between two posts. The room name signs are mounted on a wall adjacent to the room door. After artist painting, the sign is clear-coated twice for additional weather and UV protection.